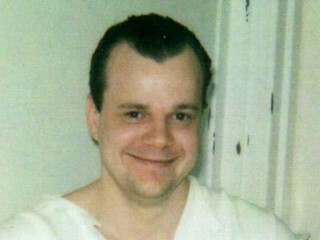 The Georgia Board of Pardons and Paroles announced on March 31 that it had denied clemency to Joshua Bishop. Bishop had asked that his death sentence be reduced to life without parole because his co-defendant, who was nearly twice Bishop's age at the time of the crime, and had a history of violent crime while Bishop did not, was given a plea deal resulting in a life sentence. Bishop is scheduled to be executed in Georgia on March 31. Seven of the twelve jurors who voted to sentence Bishop to death now support a sentence reduction for a variety of reasons. Juror Jeremy Foston said he initially, "was leaning toward a life sentence because Mr. Bishop had a terrible childhood and was just a young man." Others said they were confused by instructions that the jury had to be unanimous. Juror Jim Ray wrote, "[w]e really struggled with our decision. We eventually changed our vote to a death sentence partly because we were told we had to be unanimous and those [two jurors] who wanted the death penalty were very firm in their conviction and let us know they would not change their minds." The belief that Bishop's co-defendant, Mark Braxley, would also face the possibility of a death sentence influenced some jurors' decisions. They say they would have sentenced Bishop to life without parole if they knew Braxley had received a plea deal for a life sentence. Juror Jeremy Foston wrote, "We wanted to make sure Mr. Braxley would get the same punishment as Mr. Bishop. We even sent a note out asking if we could know what would happen to him. The prosecutor told us not to worry about Mr. Braxley, and that he would have his day in court. We assumed that meant he would have the same treatment as Mr. Bishop." Naval veteran Travis Hittson (pictured), scheduled to be executed by Georgia on February 17, has filed an application for clemency with the State Board of Pardons and Paroles. Hittson assisted his superior officer, Edward Vollmer, to kill and dismember a fellow sailor, Conway Utterbeck in 1992. Despite evidence that Vollmer was the more culpable of the two, prosecutors permitted him to plead guilty and receive a life sentence from which he could be paroled, while Hittson was sentenced to death. The clemency application, filed by lawyers from the Veterans Defense Program and the Georgia Resource Center, alleges that Hittson's death sentence is disproportionate to the punishment Vollmer received, given the significant difference in their culpability. The application says: "Mr. Hittson committed an appalling act; an act which took the life of Conway Utterbeck and harmed his family in profound and irreparable ways. Those who know Mr. Hittson, however – even law enforcement personnel who knew him only long enough to hear him confess and assist in the investigation of this crime – are united in their conviction that he is remorseful and would never have committed this terrible crime absent the deliberate manipulation of his codefendant and naval superior, Edward Vollmer." Vollmer convinced Hittson to help him kill Utterbeck by telling him that Utterbeck was plotting to kill them. "Mr. Hittson’s lower rank, gullibility, alcoholism and desperation for approval made him peculiarly vulnerable to Edward Vollmer who, by all accounts, exercised an unnatural dominance and control over Mr. Hittson," the clemency filing explains. Hittson's application for clemency is supported by other sailors who served with both Hittson and Vollmer, several jurors in the case, and an unnamed state prosecutor. The execution would be the second in Georgia in 2016. Andrew Brannan, the first person executed in Georgia last year, was also a veteran. Brannan suffered from chronic Postraumatic Stress Disorder and other severe mental illness related to his military service in Vietnam and was considered 100% disabled by the Veterans Administration. 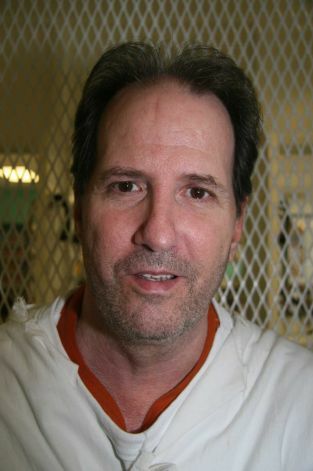 Attorneys for Texas death row inmate Max Soffar, who is dying of liver cancer, continue to seek a reversal of his case, even though judicial action - if it comes - may be too late. Soffar maintains his innocence in the 1980 murders of three people during a bowling alley robbery. The sole evidence against Soffar is a confession he signed after three days of unrecorded interrogation that is inconsistent with the facts of the case and, he maintains, is false. The confession also does not match the account of the murders provided by a man who survived the shooting. No physical evidence links Soffar to the crime and Soffar has presented evidence that another man, a serial killer, was much more likely to have committed the murders. 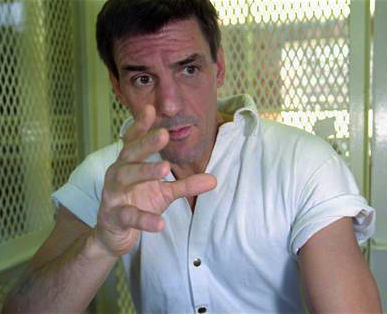 Governor Rick Perry rejected a clemency petition last year that sought to allow Soffar to spend his last days at home. The Texas Board of Pardons and Paroles said that Soffar isn't eligible for clemency because there is no warrant for his execution. Andrew Horne, one of Soffar's attorneys, said, "Justice is where there's a fair system that was followed and offered an outcome that was rational. To me, Max is an injustice because there was never a fair system, and the outcome was completely irrational." UPDATE: Brannan was denied clemency by Georgia on Jan.12. Andrew Brannan, a decorated veteran of the Vietnam War, is scheduled to be executed in Georgia on January 13. His execution would be the first of 2015. Brannan's attorneys are asking the Georgia Board of Pardons and Paroles to grant clemency because Brannan suffers from post-traumatic stress disorder and bipolar disorder. A police video from the crime scene illustrated Brannan's erratic behavior. Joe Loveland, one of Brannan's attorneys, said, "There was a direct connection between his service in Vietnam and the violence that he was exposed to there and the ultimate events that occurred here. The basic question really is, should a 66-year-old Vietnam War veteran with no prior criminal record and who was 100 percent disabled under the VA standards, both with PTSD and bipolar disorder, at the time of the murder of the deputy sheriff--should that person be executed?" On December 31, 2014, Maryland Governor Martin O'Malley announced he will commute the sentences of the four men remaining on the state's death row to life without parole. O'Malley signed Maryland's death penalty repeal bill into law in 2013, but the repeal was not retroactive. In a statement, O'Malley said, "Recent appeals and the latest opinion on this matter by Maryland’s Attorney General have called into question the legality of carrying out earlier death sentences — sentences imposed prior to abolition. In fact, the Attorney General has opined that the carrying out of prior sentences is now illegal in the absence of an existing statute." Prior to announcing the commutations, O'Malley met with family members of the murder victims in the cases related to the four death row inmates. He called the "un-ending legal process" of the death penalty an "additional torment" on the families of murder victims. He said, "Gubernatorial inaction — at this point in the legal process — would, in my judgment, needlessly and callously subject survivors, and the people of Maryland, to the ordeal of an endless appeals process, with unpredictable twists and turns, and without any hope of finality or closure."